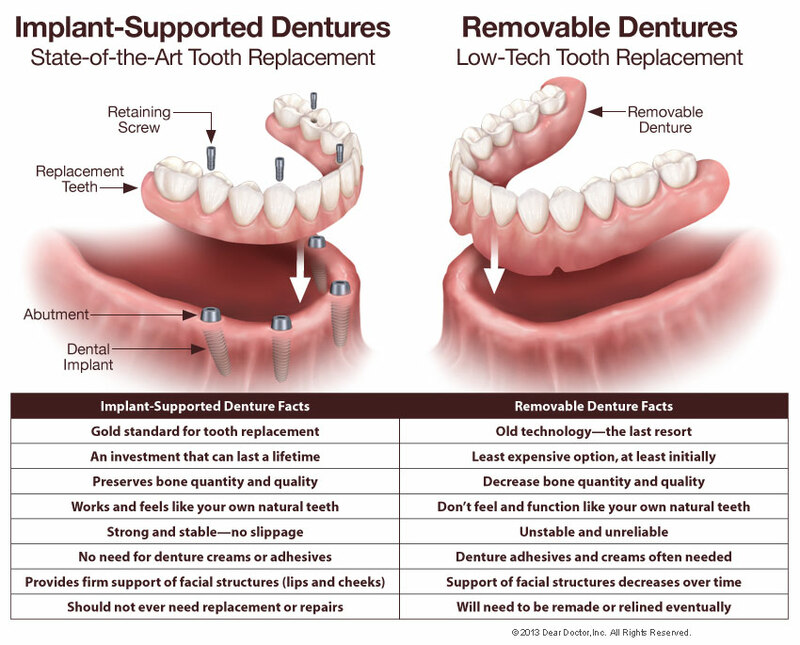 Permanent dentures, or dental implants, serve the same purpose as the roots of natural teeth: anchoring the replacement teeth to your jawbone. Just like natural tooth roots, they lie under the gum line and therefore are not visible in the mouth. Only the lifelike prosthetic teeth attached to them (the fixed denture) can be seen by you or anyone else. 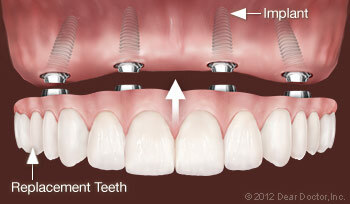 Because dental implants are made of titanium, a metal that has the unique ability to fuse to living bone, they are extremely stable and reliable. How many implants are needed? 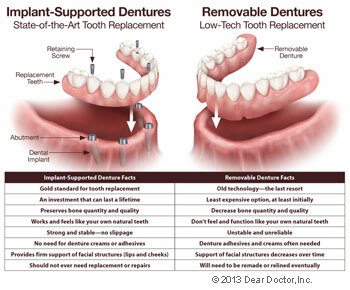 The number varies because each individual has unique conditions: Depending on the volume and density of the bone in your jaw, you will need as few as four implants or as many as six for your new teeth to function as well as a set of healthy, natural teeth.